The Federal Point Historic Preservation Society will hold its monthly meeting on Monday, May 18, 2015 at 7:30 pm at the Federal Point History Center, 1121-A North Lake Park Blvd., adjacent to Carolina Beach Town Hall. 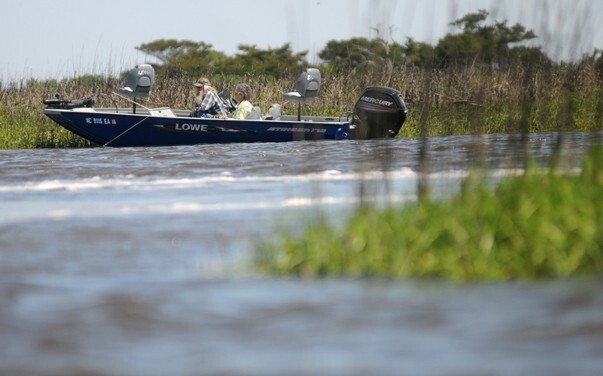 The May meeting will feature a fascinating history of fishing at Carolina Beach and the creation and ongoing preservation of the Carolina Beach Inlet. 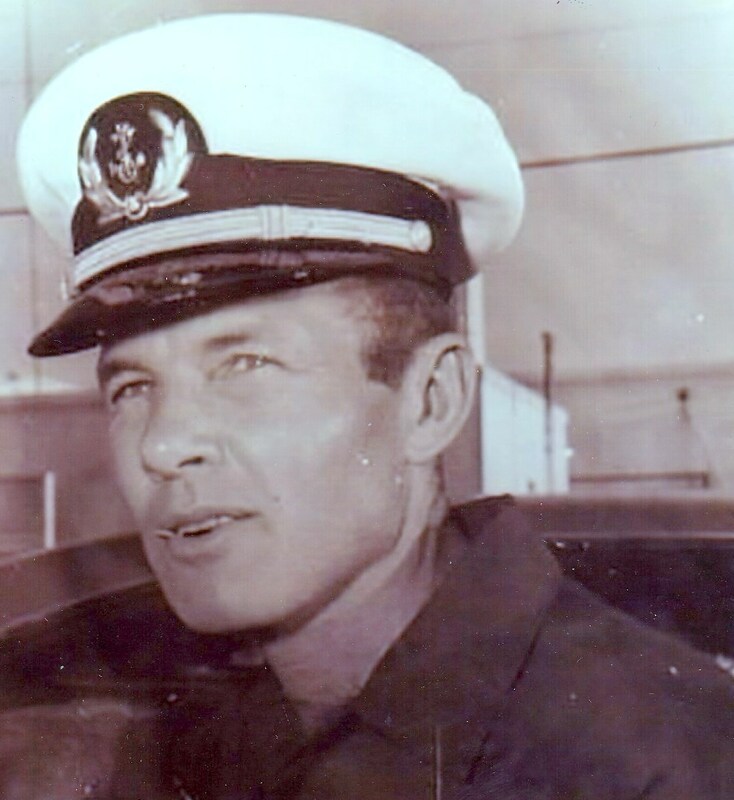 Our speaker will be Captain Skippy Winner the first commercial captain to transit the Inlet after it’s creation in 1952. 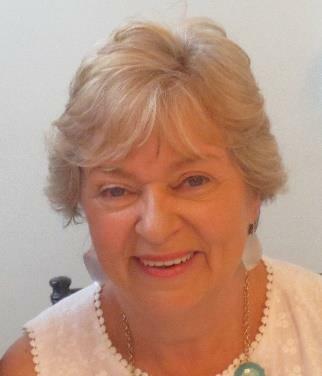 Elaine Henson will accompany Captain Winner’s talk with pictures of the history of the Intracoastal Waterway, Yacht Basin, Canal, and artificially created Carolina Beach Inlet. 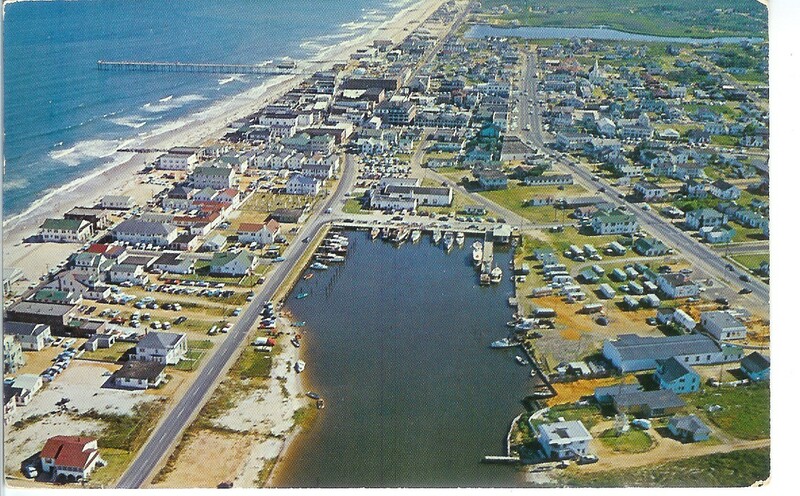 As a teenager, Skippy (David Carl Winner, Jr.) working for his father, Carl Winner, had to take fishermen all the way to Masonboro Inlet just south of Wrightsville Beach to reach the ocean. 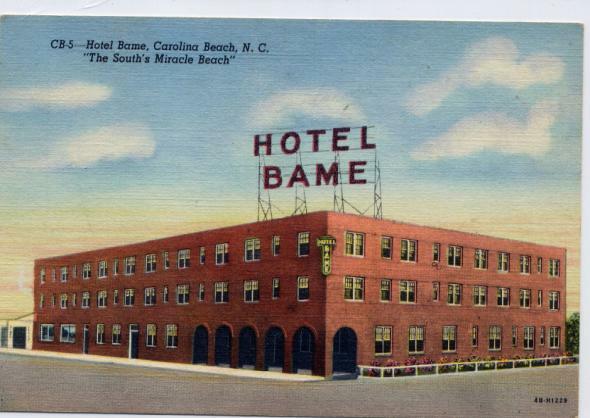 Then, in the late 1940’s a group of Carolina Beach businessmen lead by Sam Blake collected money to hire a dredge to cut an artificial inlet from the Intracoastal Waterway transiting Myrtle Grove Sound to the ocean. 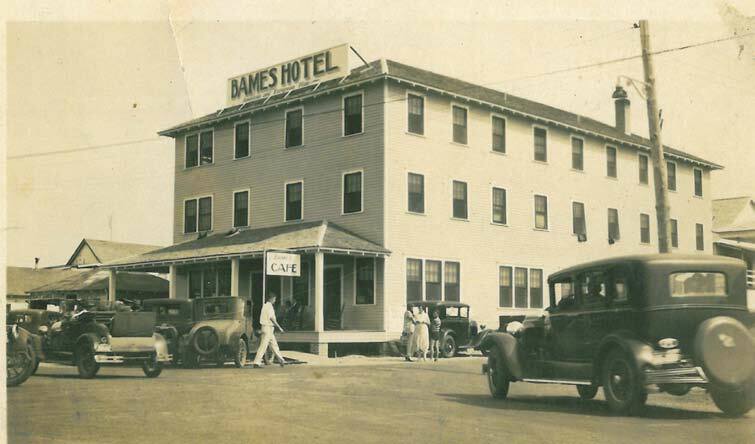 Then on September 3, 1952, 1,250 pounds of dynamite were used to finally open the inlet. The final cut was planned for a day with a full lunar tide and the differential in the tide between the sound and the ocean would be the highest. At first it was a very narrow opening but the tides rushing through quickly widened and deepened it. 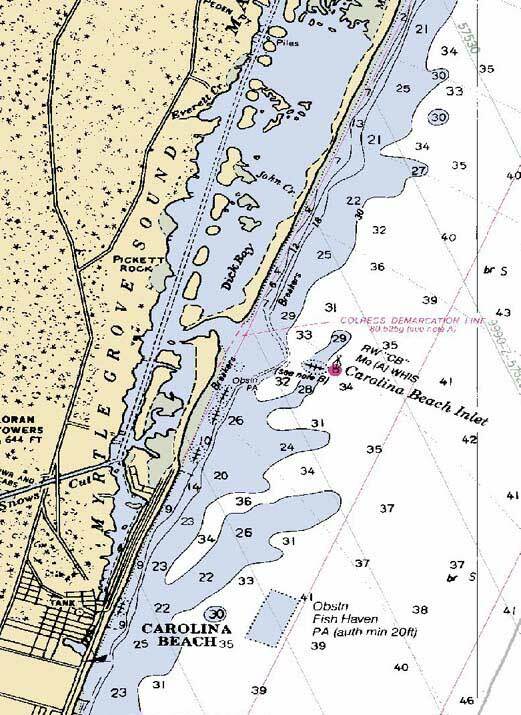 Today the inlet is shoaling badly, so, in 2012 the Carolina Beach Inlet Association was founded to secure an ongoing source of funding for continued dredging to keep the cut deep enough for the fishermen and pleasure boaters to use into the future. Captain Winner, the first President of the organization, will also talk about the group and its current plans and projects. Speaking of Inlets… What Do You Think? With so many questions out there, no one expects anything with the Rocks to happen quickly. 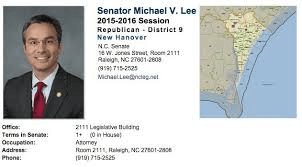 Lee said if the provision is approved by the General Assembly he expected a series of studies to take place to gauge the environmental and other impacts from any removal work. 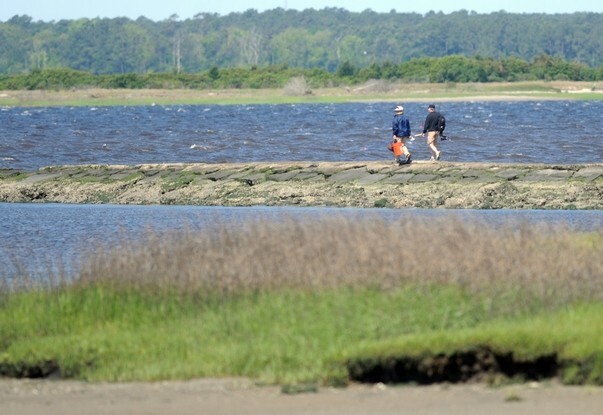 Officials with the N.C. Department of Environment and Natural Resources, which manages the Zeke’s Island Reserve, also are concerned about what the removal of the Rocks would do to the reserve’s ecosystem. Then there’s the question of whether the federal government would approve a change in the reserve’s boundaries, since the reserve is part of the National Estuarine Research Reserve system under the umbrella of the National Oceanic and Atmospheric Administration (NOAA). North Carolina Department of Natural Resources spokeswoman, Michele Walker, said the state in 1980 used $1.18 million in federal funds to purchase most of the land that encompasses the reserve. 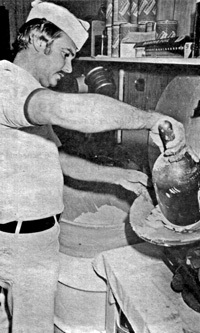 This month, the History Center sends out a very sweet shout to a local legend, Britt’s Donuts. Located at #11 The Boardwalk, Carolina Beach, NC, they have been cooking up smiles since 1939 when the Britt family along with the Wrights opened up Britt’s Donuts on the Carolina Beach Boardwalk. 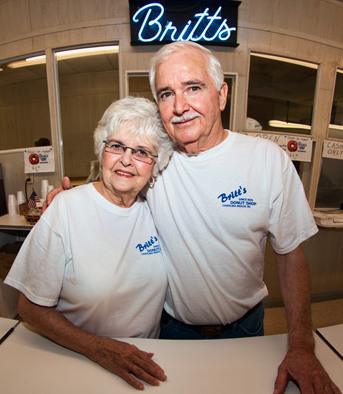 Since selling the business to Bobby Nivens in 1974, they have not looked back. 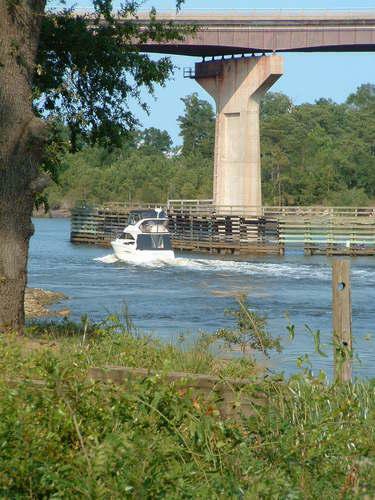 All of Federal Point, nay New Hanover County, looks forward to opening day each year. Be sure to go by and have a Boardwalk staple, a fresh hot sweet Britt’s donut and thank them again for supporting the Federal Point Historic Preservation Society each year as a Business Member. http://www.brittsdonutsfanclub.com/ The photos above come from Daniel Norris’s fan club Facebook page. MAJOR DONATION: Linda Newton’s daughters, Anna and Lindsey, have donated all of her historical and genealogical files as well as a number of local history books to the Society. In total there are 8 boxes and though it will take us a while to sort and catalog it all, it is a significant addition to our library and archives. Thanks to Phil Sapienza for pressure washing the handicapped ramp and front sidewalk at the History Center. It looks b-e-a-u-t-i-f-u-l! The History Center recorded 81 visitors in April. We had 34 in attendance at the April meeting. The gift shop took $132.60 in April. 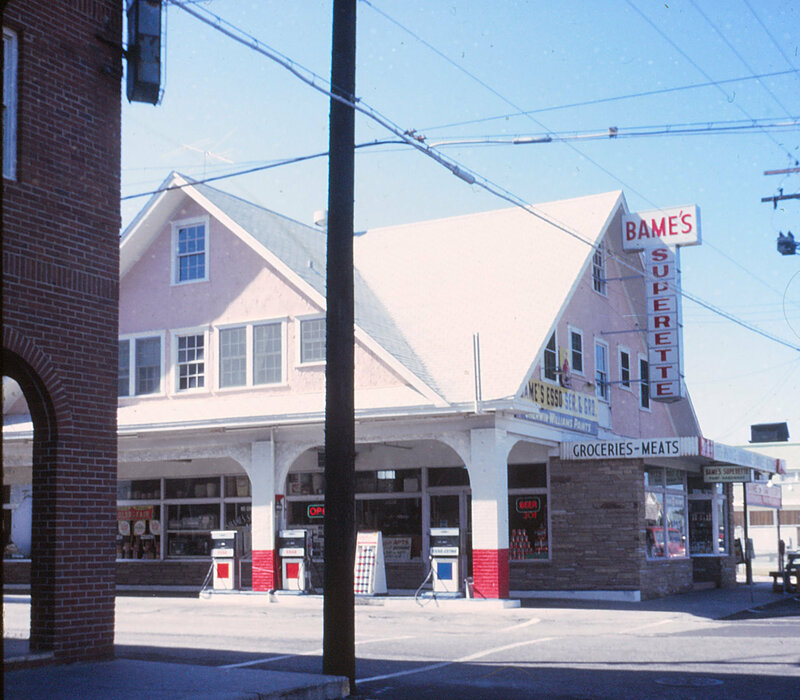 The History Center was used by Got-‘em-on Live Bait Fishing Club, UDC-Fort Fisher Chapter and FCA-CC. Thanks to Lois Taylor, Darlene Bright, and Cheri McNeill for all their help with the April Newsletter. The Sugar Loaf Civil War Preservation Group continues to work on the Lewis/Town of Carolina Beach segments of the line. A huge thanks to Rick Both, Andre’ Blouin, Leslie Bright, and Victor Alocci who show up every time a work day is called. 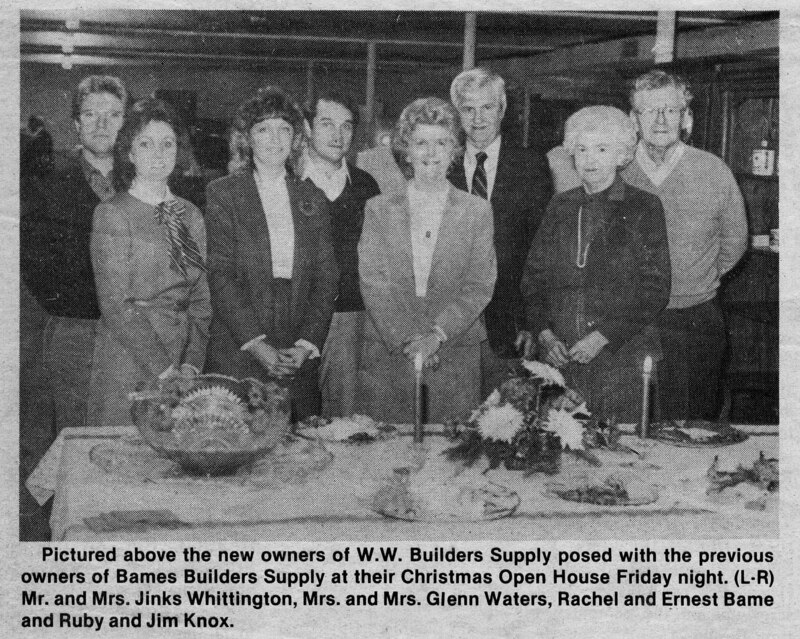 Please welcome new members Frank Wright of Wilmington and John and Nancy Bailey of Oak Island.